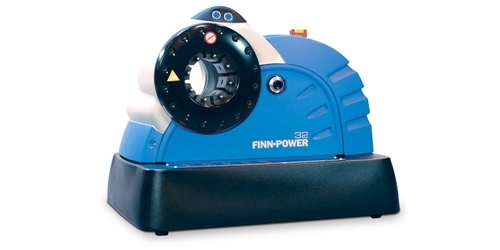 The Finn-Power 32MS and 32UC have the same innovative crimping features as the 20 series machines. 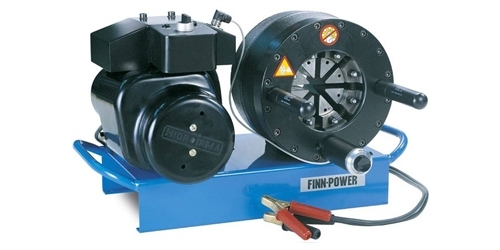 They are mid-range in terms of power, but compact in terms of space requirements. 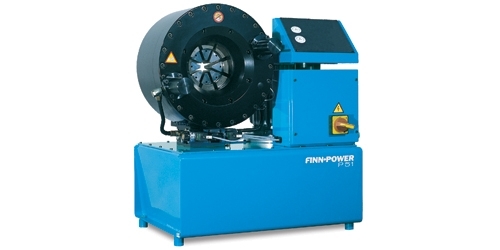 The 32 machines provide 2000 kN of crimping force in a highly compact and ergonomic design. 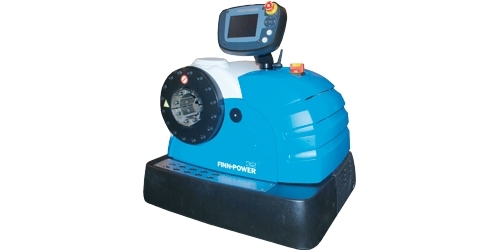 They are ideally suited for single piece production in machine shops, repair workshops etc. 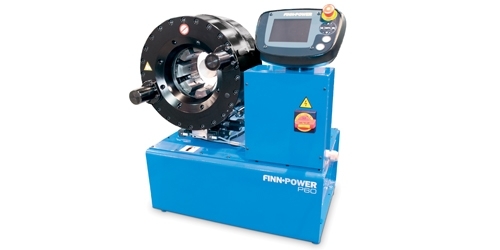 All table-top machines can be mounted on a QC Tool Base. Up to 16 die sets can be stored in a base for convenience.